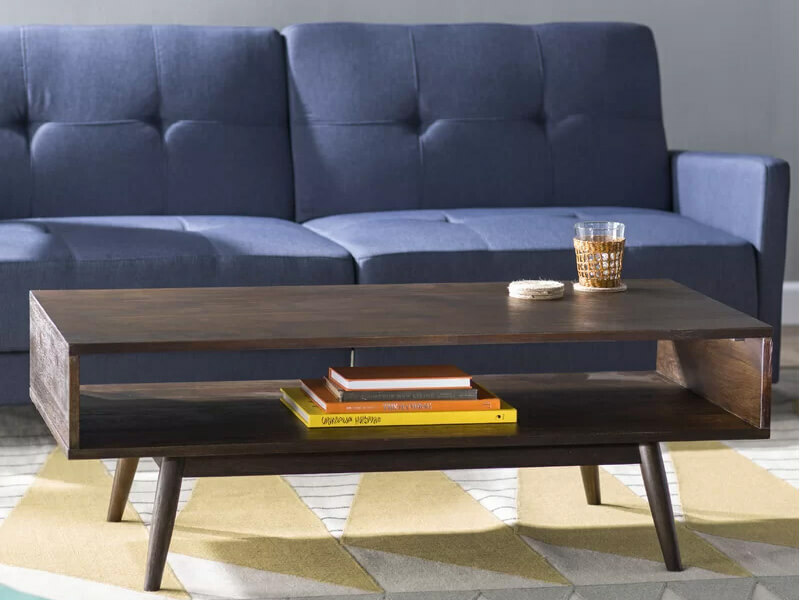 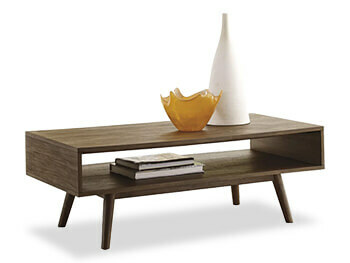 A centerpiece that brims with mid-century-inspired influence, this coffee table is the perfect pick for your living room or den ensemble. Its base features four slanted legs, while the top complements in geometric fashion with a clean-lined silhouette which opens in the center for unexpected staging and storage space. 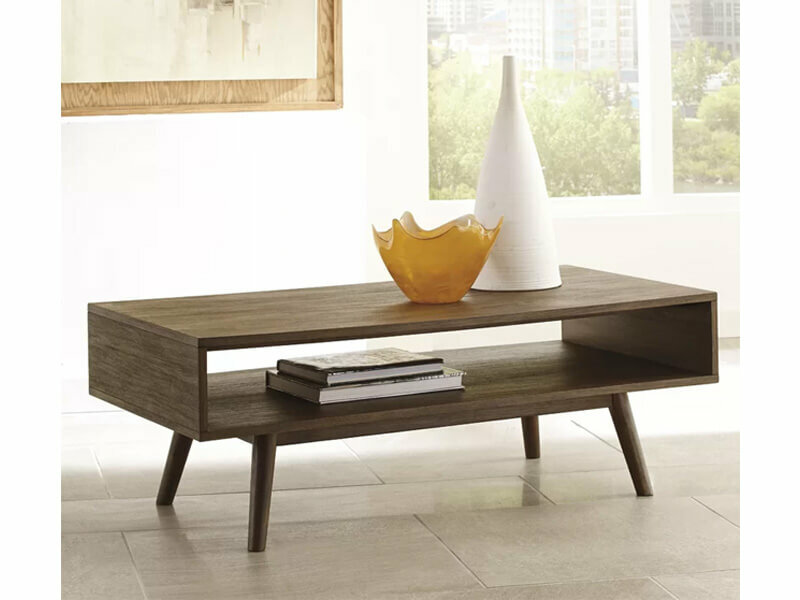 Crafted from manufactured wood with acacia veneers and solids, it showcases a versatile dark brown finish that works in any aesthetic.